No monumental undertaking like the infamous Mongol Rally should be approached without the help of paranormal prescience. In our case it meant putting all doubts to one side and at last taking a friend’s recommendation and paying a visit to the best medium in town. 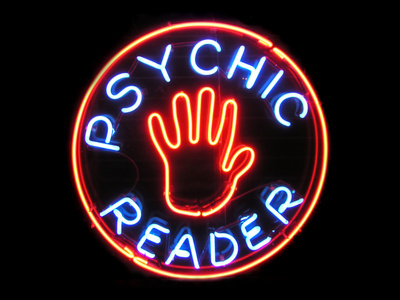 Truth be told I’d never been to a psychic and was a little nervous about what might be ‘seen’ under my terrestrial hood, so to speak. Presenting herself as a well found woman of late middle age with a small, desktop fountain and spa muzak burbling away in the background, my clairvoyant used psychometry to peer into my soul. No tarot card reader or crystal ball gazer, she borrowed an object that I keep with me constantly and used it to see symbols and pictures relating to my life. She closed her eyes meaningfully as she started to describe my personality and then what I was involved in. Taking the option to record the session left me with a complete record, but rather than bore you with all the details, the executive summary is she saw success in our venture. That’s it. That’s good. But that was about it. There was some stuff about delays at some kind of border. Really? At six borders in eastern Europe? Delays? I’m pretty certain that I read something about that on the Adventurists web site. And she saw lots of photographs - we are going to max out the Facebook upload engine shortly. What was really disappointing, though, was that the Mongol Rally wasn’t looming larger in my parapsychological life. She kind of backed into it after a poke a travel generally - something about a move, lots of business travel and finding a place with an ocean view (wanting to give up work entirely, buy a boat and set sail apparently counts for all of these things, but nothing to do with the Mongol Rally). Yet, her practical advice of having all our paperwork in order and being sure to carry a spare tyre to minimize delays was somehow oddly reassuring. Finally, she said the journey would end in discovering something that wasn’t ostensibly the point of the trip. That led me to wonder what the hell was the point of the trip? Charity? Adventure? Self discovery? Because it’s there? Sheer ballsy stupidity? All of the above? Perhaps our next seer will have deeper insights into that part of the journey.